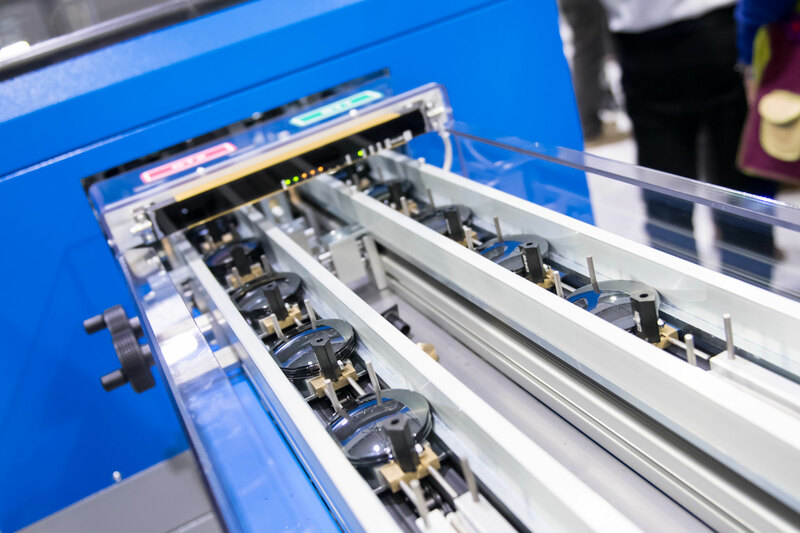 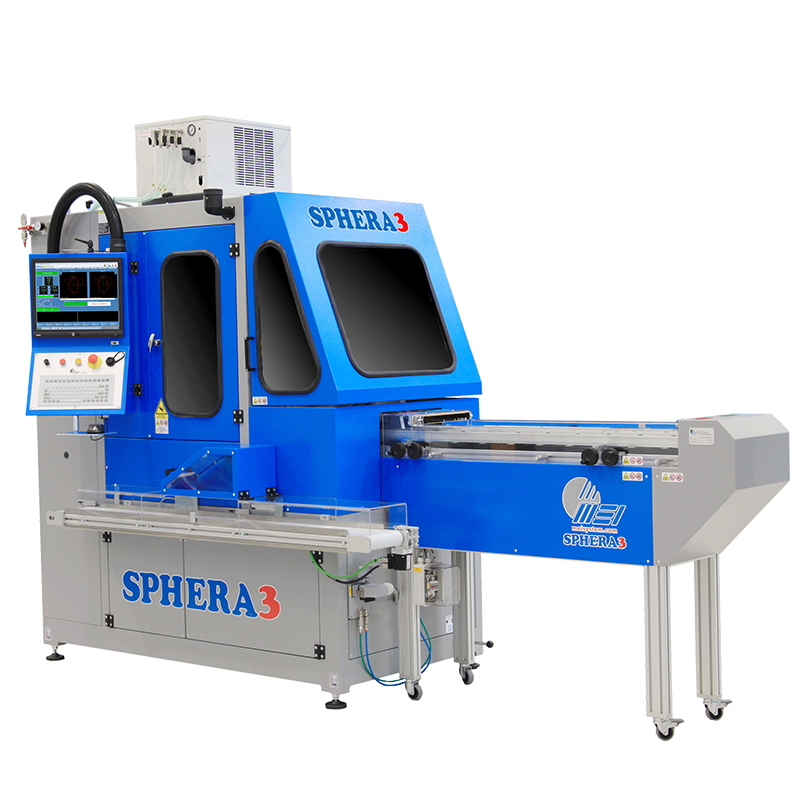 Sphera3 is the numerically-controlled machine devised with the intent of supporting high volume outputs of sunglass lenses and demonstration lenses. 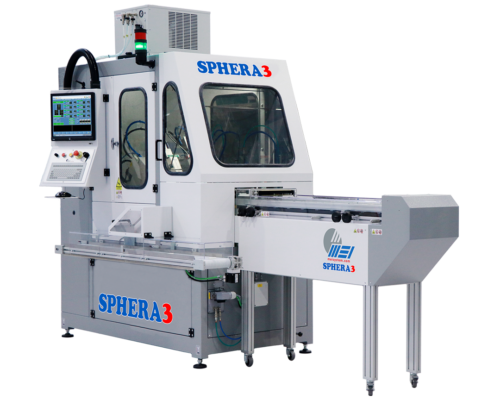 Everything inside this machine was designed to provide the highest cycle speeds imaginable — for example, the axis movement. 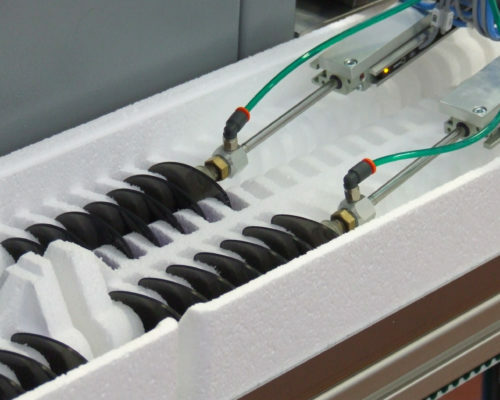 The loading process occurs simultaneously with the cutting process so as to optimize cycle speeds. 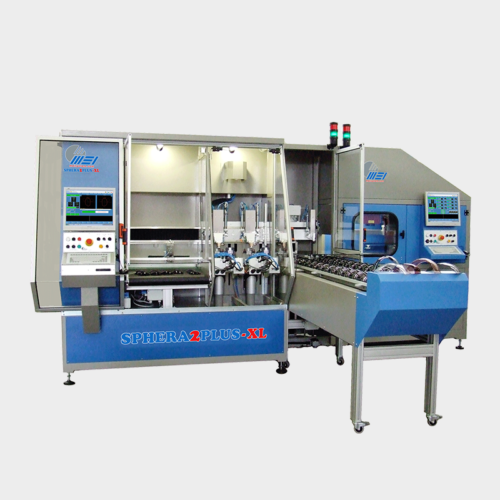 Two cutting stations with two spindles permit the machine to cut the left and right lenses at the same time without any need to change the relevant tools. 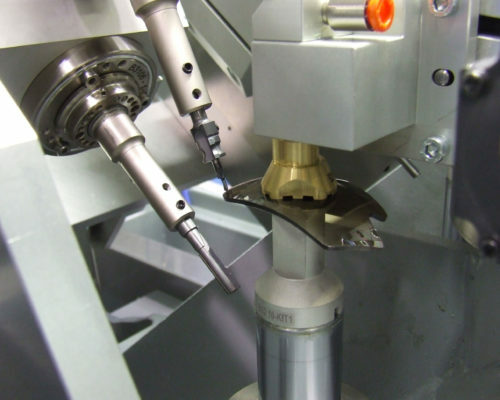 Two lenses are cut simultaneously in one machining cycle. 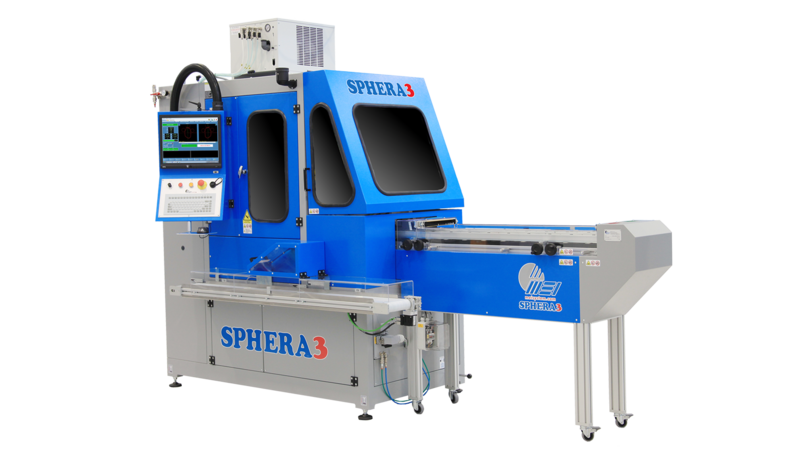 The next lenses can be of a different shape or material than the previous lenses. 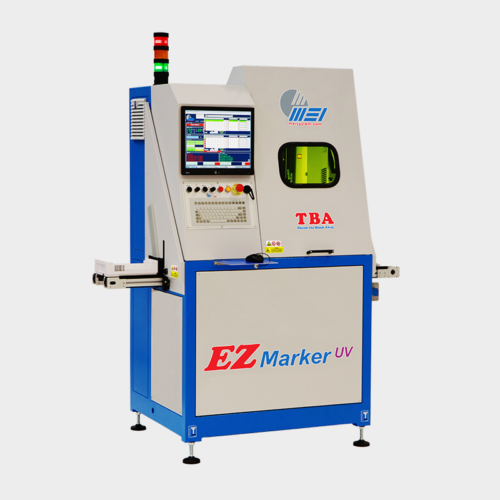 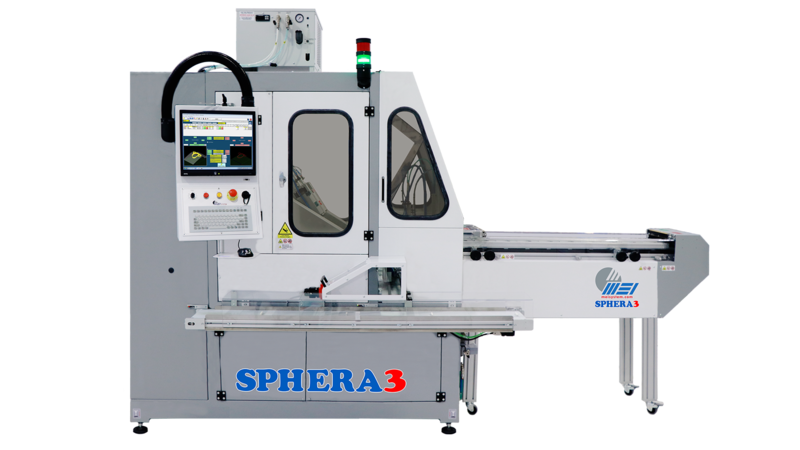 The lenses to be worked are automatically positioned onto the loading chain of the machine. Finished lenses are automatically transferred into trays and unloaded without any need for handling. 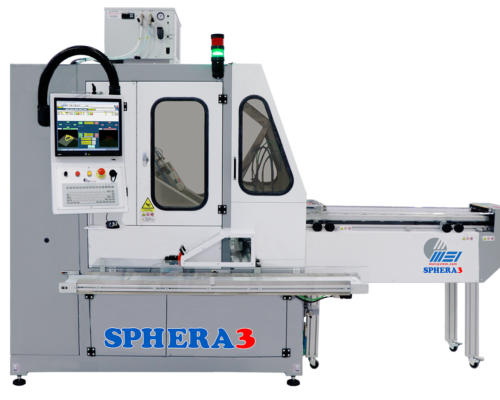 The Sphera3 takes up the least amount of space of any machine on the market when taking into account its productivity. 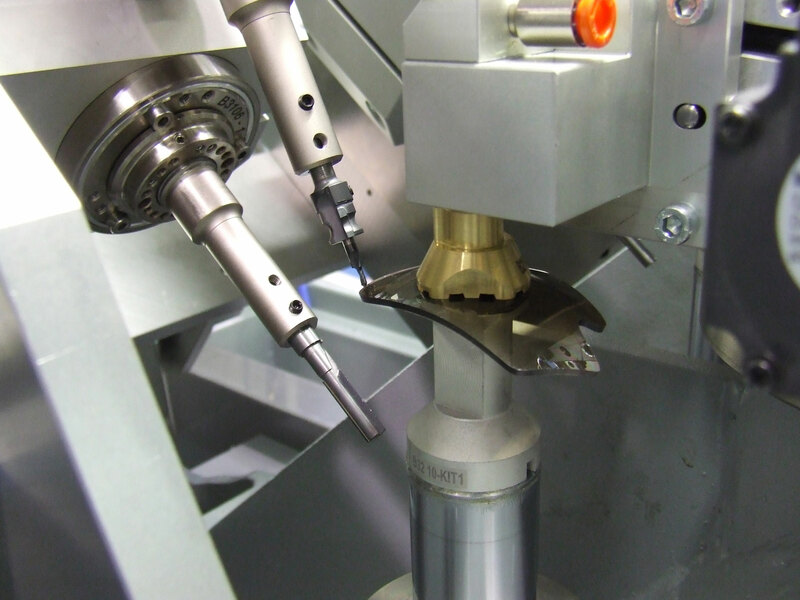 Changing tools takes just a second or two. 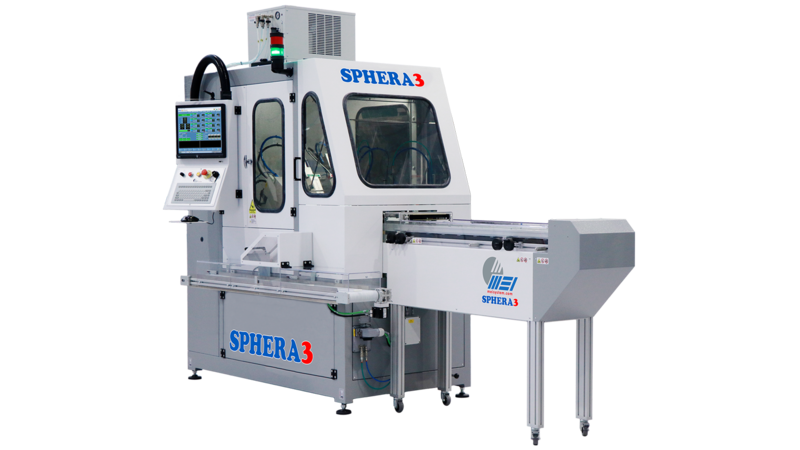 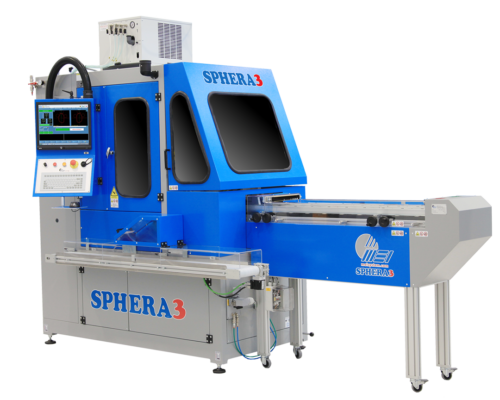 With two spindles per lens, the Sphera3 ensures the quickest possible cycle speed, without detracting from the extraordinary cut quality for any type of plastic material. 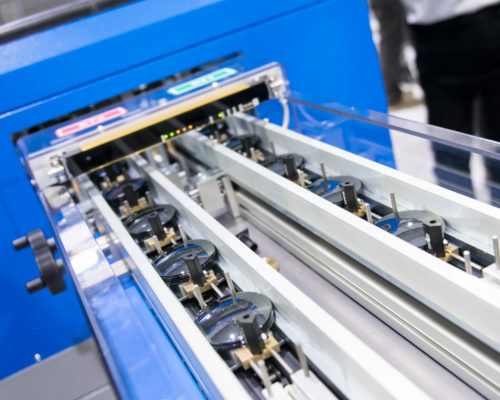 High quality and quick speeds together ensure reduced costs. 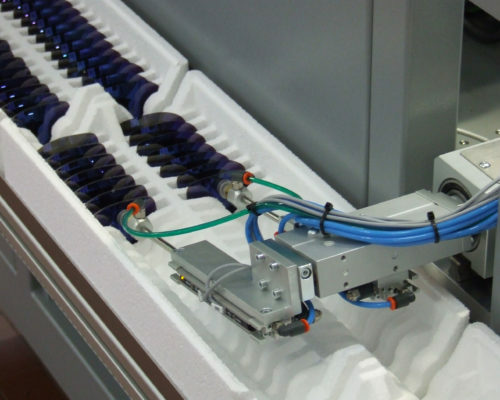 With the machine’s “chain loader” it’s possible to continually feed the machine with rough lenses so that it works continuously. 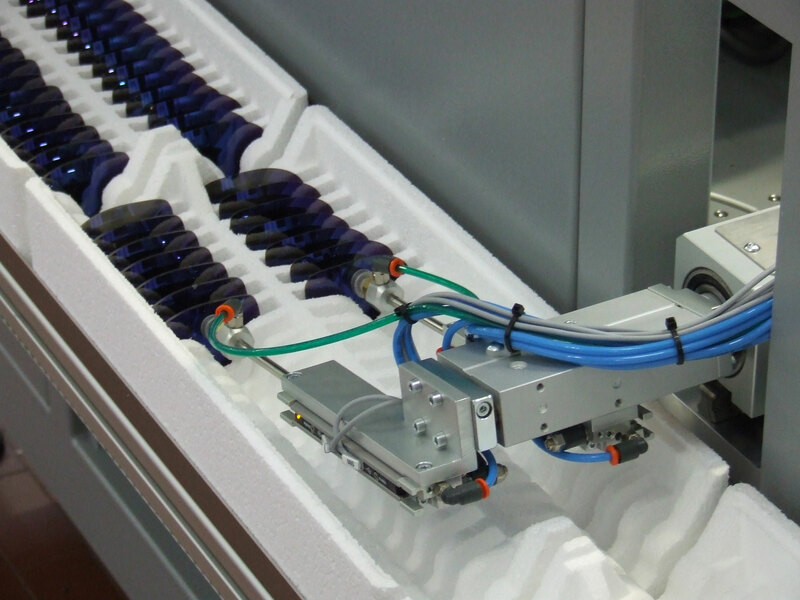 The lens unloading system can be programmed to bring empty trays to the machine and full trays to the location of further processing.